You can study the trumpet with James in-person in the Dallas/Ft. Worth area, via Video Skype/Face Time, or live in-person around the country depending on James' travel itinerary. James also gives master classes and clinics across the country to a wide range of audiences ranging from high school, middle school, college/university, and praise & worship teams at churches. James has over twenty years teaching experience and has worked with all ages and levels of players from beginners through college and professional players. He can work one-on-one or in a group master class environment. James specializes in the areas of musicality and creativity. As a player who has successfully navigated many problems on the trumpet (including an embouchure change, bruised lips, early lack of rhythmic coordination, trouble with low & high range through his formative years, and much more). James can help you to work through your challenges and bring you to a place of breakthrough by offering innovative ideas to develop your range, sight reading skills, creative practice methods/ideas, better fluidity and ease of play, and more. James earned his Master of Music in Trumpet Performance from the New England Conservatory of Music in Boston, MA. James earned his Bachelor of Music in Trumpet Performance at the School of Music at the University of Iowa in Iowa city, ia. James is a member of the Texas Music Educators Association & resides in the Dallas-Ft. Worth area. My son Nick studied trumpet exclusively with James at least four years. James did a consistently fantastic job of working with Nick. James friendly personality and rapport helped keep Nick positive and engaged throughout many years of hard work. He hosted numerous recitals which allowed his students to prepare and perform more challenging pieces for an audience. James wide breadth of musical styles afforded Nick the opportunity to learn many types of music as well as discover where his own interests are. Each student is approached as an individual artist. James will work with you to develop a successful approach to the trumpet and to music in general. James has written pedagogical articles & developed his own specialized studies. 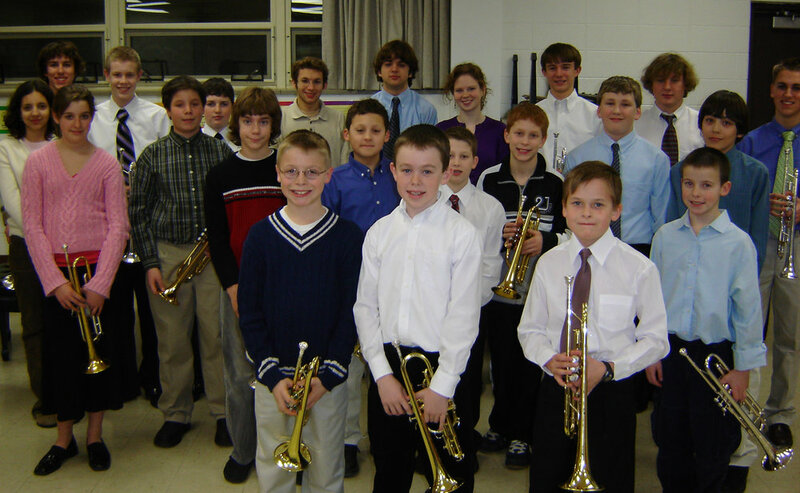 James' background includes Chicago/NY/Boston Schools and Styles of Classical and Foundational Trumpet Playing. Some of the resources utilized include classical methods/studies from Arban, Schlossberg, Irons, Clarke, Bitsch, Charlier, Voxman, Voisin to Contemporary Studies and Etudes from Bai Lin, Maurice Andre, Ponzo, Cichowicz, and more. James also utilizes music from all major styles and genres of music including classical, jazz, rock/pop, broadway/movie music, gospel/christian, hip hop, and more giving students a wide variety of musical knowledge. James also teaches multiple breathing methods including classic and wedge breath as well as his own specialized method for sight reading, multiple tonguing, range development, and musicality. I met James through my school bandâ€™s trumpet students who took privately from him during the summer. After several years of hearing the same results in my students - beautiful trumpet tone, good range, increasing love of the instrument and then the studentâ€™s parents deciding to have their children take from him year around, I decided to go take a couple of lessons to learn how he gets such consistent results. I found myself getting a fresh wind to take back to my brass students and my bands at all levels (I teach 4-12th grade band). James is an encourager, very patient, loves music and is great with all levels of students. He reminded me why I went into the music education profession in the first place and helped me remember to relax and enjoy playing/teaching. Starting in 2016 I am offering special group and individual consultations for trumpet players. These consultations will help you address playing/performance issues as well as fine tune your trumpet(s) for the best results. I will offer you my experience and training in preparation, performance, and trumpet equipment technology. James' partnership with different trumpet and mouthpiece makers brings incredible instruments and mouthpieces combined with a lot of hands-on practical coaching experience working with clients and players all over the country. These consultations will take your playing to a different level. Please contact James if you are interested in booking a consult.